"Won't somebody please think of the poor zombies?" We love when developers take a recurring gameplay and put it upside down. That's what Lonely Few has done with Brainsss. 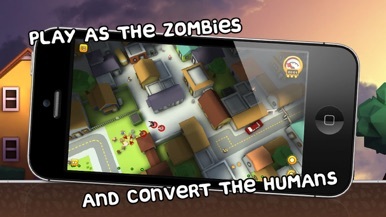 Instead of fighting zombies or escape from them, the player is actually embodying them in this strategy game where the purpose is to trap, chase and finally convert sacred humans. 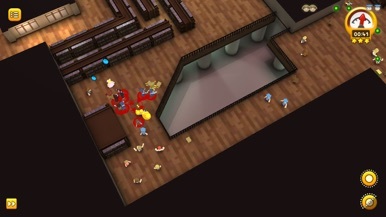 Thus, players can control multiple groups of zombies whose purpose is to let not a single human keeping their lively nature. Poor humans aren't stupid though: they will be hidden in the strangest places you can imagine. A strategical-mind is mandatory. Chase after them, divide your group to trap them, scare them to make them run toward your horde and, above all, remember: no prisoners taken. Some humans will run, others will fight back. 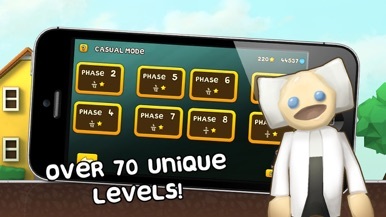 There are two game modes (casual and strategy) and more than 70 levels set in lots of environments: suburbia, hospitals, parks, airports and many many more. 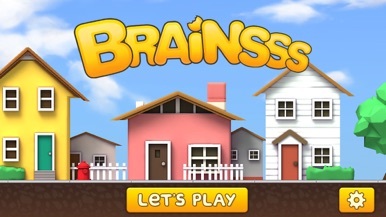 Likewise, there are over 20 heroes to unlock, different game speed and lots of items and features to unlock thanks to in-game currency (Brainsss Bucks). Although the game looks a little childish, there are no complaints regarding its well-crafted 3D graphics (bird's-eye view). The only catch: it takes ages to load levels and switch between menus. 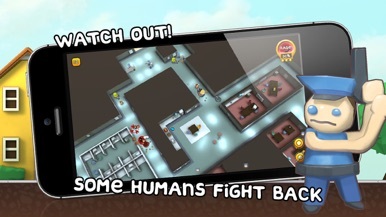 However, the game is highly original and has lots of extra-features (left handed support, multiple zoom levels, improved Zombie A.I., iCloud support etc.) that make the game even more playable. Featured Editor's Choice in the App Store worldwide. TouchArcade 4 ½ out of 5 ★'s! iFanzine.com 4 ½ out of 5 ★'s! Completely optional In-App-Purchase's - not at all required to complete the game with 3 stars on every level. A seafare "defense on rails" game. Battle Group would come to be something between a shooter on rails and a time management or active defense game. You command your ship (a squad if you achieve to unlock support vessels) and have to go through levels repelling incoming enemy attacks. As missiles take their time to reach their target, it's quite tri….